In Vastu Science remedies which do not require reconstruction are very popular. Aroma therapy and crystal therapy are most popular ones. 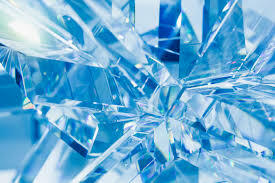 In this article we will see that which crystal is the best for the business and its growth. This green colored stone will help alot in business growth. This crystal is green in color and should be place from where business is carried on. It is available in various forms like pyramid, Stone,cluster,tumble stone,pendant and bracelet are very popular. It increases business opportunities and possibilities. 2 Next comes Citrine. It is related to money. It's kept in a box where the money from the business is kept ,it helps in maintaining the availability of money. The color of this Stine is yellow. These two are very popular crystals in Vastu by the use of which without any reconstruction the Vastu defects can be repaired powerfully. These can be taken after consulting an expert about its size and form. They are ready to be used after they are changed. For buying Crystal and using it you can contact us and also use Facebook page for the same. Click here for our Facebook link.